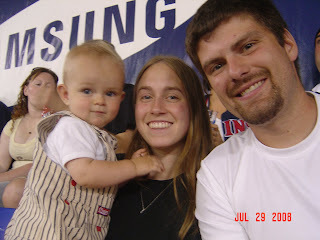 We had the opportunity to go and see my family from July 28th to August 5th. 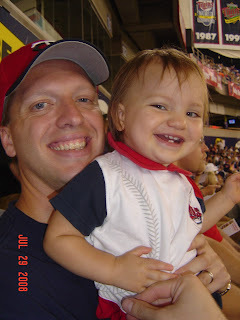 While there we got to see family, celebrate birthdays, go to a Twins game, go to the County Fair and eat yummy cheese curds (Guy's absolute MN favorite! 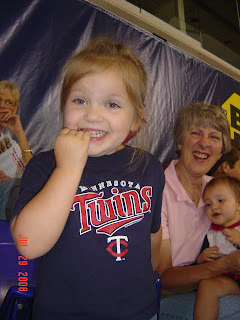 ), go swimming at the new Stewartville pool, visit a toy store with a handcarved carousel and spend a lot of time with cousins, Grammy and Papa, and Aunts and Uncles. Hope was so excited to see her cousins! 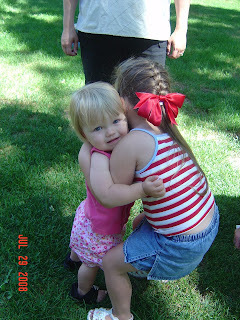 Here she is giving Maya a big hug. 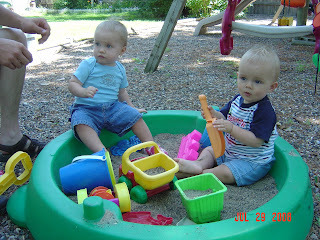 Nolan and cousin, Matthew, played in Maya's sandbox together. 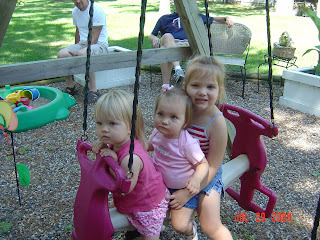 All three girls played on the swings. 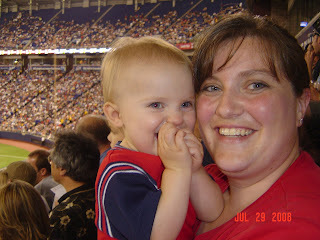 Next onto the Twins game...the kids did great and seemed to really enjoy it! 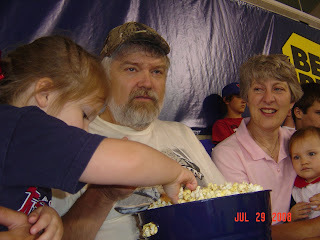 Hope asked where Papa had gone and got extremely excited when she realized he had gone for a HUGE tub of popcorn! ok, you weren't fooling...that is one BIG tub of popcorn! :o) Glad you had fun!